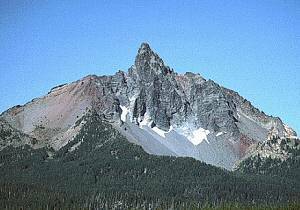 An injured Hillsboro woman who fell while trying to summit Mt. Washington on Friday was rescued early Saturday morning after bad weather delayed her evacuation for roughly 15 hours. Search and rescue crews were able to rescue Joann Ding Stamplis, 24, and her husband, Mathew Stamplis at around 7 a.m. Saturday morning after responding to the initial call at 4:30 p.m. Friday afternoon, according to a news release from the Deschutes County Sheriff’s Office. The Sheriff’s Office assisted the Linn County Search and Rescue and Camp Sherman’s quick-response Hasty Team. Oregon Army National Guard and Air Life helicopters took crews to the mountain, the news release said. Rescue teams found Ding where she had fallen about 300 feet below the mountain summit. After she was treated on the mountain and prepared for evacuation, clouds and heavy fog rolled in, making it impossible to evacuate Ding by helicopter at that time, the news release said. Rescue units stayed with Ding through the night until an Oregon National Guard helicopter was able to land on the mountain about 7 a.m. Saturday and transport the woman to St. Charles Medical Center – Bend. Her condition was unavailable Monday night. After being struck by a large rock and falling, my wife was picked off of Mt Washington on Fri/Sat by some hardworking rescue teams. In case anyone involved in the rescue posts here, I just wanted to give a HUGE!!! thanks to everyone for working through the night to get her out of a nasty spot and down to where the helicopter could pick her up. As for her condition, she suffered a pretty bad concussion, a smashed finger, and plenty of cuts, scrapes, and bruises. But the good news is that she's fully alert and is starting to move around a bit with the help of a walker. All in all, we couldn't hope for any better news and she might be able to get out of the hospital in a few days! We were on the North Ridge - hadn't climbed it before and we got off route up at the summit pinnacle. Instead of directly climbing north ridge, we traversed around it (climbers left) onto the east face. I could see a gully on the east face that looked climbable so we headed for that. If she hadn't landed on the ledge that she did (about 3 feet wide), there is no doubt we both would have been dragged right off the mountain (below us was 45 degree snow). She had setup a belay anchor but the anchor wasn't meant to take a load from that direction and didn't help at all to stop the fall. In short, our biggest mistake was simply not being able to properly evaluate the rockfall hazard. In our traverse around the pinnacle, we both noted that the rock was awfully crumbly. But we kept pushing on, hoping the rocks up the gully might be a little better. Just some notes on the rescue: The fall happened around 2:30PM. I descended the north ridge until I got cellphone service (about at the point where the climbers trail meets the ridge) and called 911 around 3:30PM. The rescue teams were up to our position by 8:00PM - FAST! Unfortunately, visibility got too bad to get a helicopter to pick her up at night but the SAR folks stayed with us all night and did a spectacular job getting her back up to the ridge and then down the west face (with some pretty effective human anchors). The helicopter managed to pick her off around 7:30AM (17 hours after the fall). The fast response of the initial SAR team getting up to us and helping to keep her warm during that time helped save her life and get her off the mountain as fast as possible. Thanks again to all the folks involved in the rescue! The best news is that she's getting out of the hospital today and going home! I was leading, she was belaying from below - there was nothing special about our setup. I did give the boulder a wiggle before I slung it and it seemed OK - it wasn't until it was slung and gave it a slightly more firm pull that it gave loose. Finally, given the big exposure on the east face, we definitely should have set up a bomber anchor for the belayer. Something that would have kept her from falling after getting hit. The only anchor we had on belay was a sling around a horn which was far from bomber. At about 1530 on Friday, July 1st, a 24 year old Hillsboro woman was belaying her husband on the east side of the North Ridge (below the notch, in the vicinity of the Gendarmes – yes, they were ‘off route’). He was about 15 feet above her when he threw a runner over a rock horn for protection and pulled out the rock. The rock flew directly at the belayer who attempted to protect herself with an upraised hand/arm. The rock struck her and she (apparently not anchored in) fell off the east side and landed in a moat. [If she had bounced out of the moat or struck the steep snow patch, it is very likely she would have “taken the big one” and pulled her husband off too.] Her husband was able to work his way down to her and called for help on his cellphone. It is unknown which PSAP received his call, but most likely Albany since Linn County took to lead on this mission. Camp Sherman Hasty team was activated along with Deschutes County SAR. Air Life airlifted at least one team (and perhaps more) to a LZ in the meadows below the west bowl. CMRU was activated 2 ½ hours later and was told a helicopter (from the National Guard) was not available. Seven members of the Unit responded to the staging area at Ray Benson Sno Park. As we were leaving the valley, the “unavailable” helicopter was making radio contact with “SAR Base.” While we drove toward the staging area, Deschutes and Camp Sherman teams and 1042nd flight medics accessed, assessed and packaged the patient. She was not in a position where she could be hoisted directly so a raising system was rigged to bring the SKED to the ridge top. As the sun went down, fog began to form around (just) the mountain. When CMRU arrived at the staging area, the patient had been raised into position for a helicopter pickup, however the fog was blowing in and out of the pickup point. The helicopter lifted from SAR base about 2230 and tried for the next half hour to gain access to the ridge top pickup site; but to no avail. There just wasn’t a long enough clear period to allow a safe hover/hoist operation and at approximately 2300 the helicopter departed for Salem (leaving their medics on the mountain with the SAR teams). In the meantime, Linn County’s SAR Explorers (although I’m not sure they are still an Explorer Post but I don’t know what they are officially called) and mounted Posse hit the trail from the Big Lake Youth Camp to the PCT and climber’s trails. CMRU remained “available” in the staging area until about midnight when we retired to the lodge at Hoodoo for some sleep – subject to immediate recall if necessary. Since a pickup of the subject was not going to happen this night, the teams on the mountain prepared to lower the SKED down the west bowl. They had about 800’ of line on scene (to do a 1600’ lower). The lower commenced around midnight and by approximately 0200 they were at the bottom of the scree slope. When the helo departed, it was understood that it would return to do the pickup as soon as the patient was in “clear air.” The team reported they were ready for the pickup, but were advised it would be 1 ½ - 2 hours before the helicopter would be on scene – and Air Life would not fly until after sunrise (almost three hours away). The Linn County SAR folks were within about ½ mile of the patient around 0300 and continued toward the bottom of the scree field from the “ridge climbers trail.” The fog was now spreading to the bottom of the scree. The helicopter arrived on scene before sunrise (0525) and was “on top” of the clouds at 7800’ looking for a way to get down through. After about 45 minutes, it departed to Redmond to refuel and let the fog dissipate (as the sun warmed the air). CMRU was called around 0530 and told to prepare for a wheeled evacuation (of either patient or gear). We reported to SAR Base around 0615, were briefed, and departed for the trailhead at the Big Lake Youth Camp. As we readied our gear, the helicopter returned and was able to find a clear opening to approach the pickup point at the bottom of the West Bowl’s scree field. (After spending much more time than we should have) CMRU continued toward the PCT and Climber’s Trail junction as the helicopter proceeded to do the hover/hoist operation. Upon arrival at the climbers trail, we met three women with pack horses (including Anne Gredigan’s sister, Sue) who had spent the night there in anticipation of carrying out gear. Teams from the mountain (Camp Sherman, Deschutes, and Linn Co. SAR) arrived shortly before 0800 and we were all out of the field by 0900. The patient was flown to St. Charles in Bend for treatment of her injuries. I have requested a copy of the Final Report of the Linn County and Jefferson County Sheriff's Search and Rescue units. I am contacting the injured climber and her husband. Air evacuation was required due to the concussion and hand injury from the rockfall. The climbers used a cell phone to 911 (Albany, OR, in Lynn County picked up the call) to report the accident. Look under Experiences soon, for my Report to the American Alpine Club.